What’s on our mind? You can read about it in our blog. Whether it’s ideas from the industry or emerging trends, you can read about it here. And once in a while, we may throw in a movie review or some other surprise. So keep checking in. We’re glad to have you reading along. Securities and investment advisory services are offered solely by Equity Services, Inc., Member FINRA/SIPC. 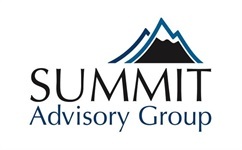 Summit Advisory Group and all other entities and individuals are independent of Equity Services, Inc. and the National Life Group of companies unless otherwise noted. Equity Services, Inc. is a Registered Broker/Dealer affiliate of National Life Insurance Company, Montpelier, Vermont.